Phil has had two spells with Diamonds. He initially joined the club on 30 June 2004 after being released by Middlesbrough where he had been an apprentice. He played a vital role in central defence throughout the following two seasons, winning ‘Player of the Season’ in 2005/2006. After declining a contract for the next season, Phil signed for Hereford United in May 2006, but a misunderstanding over compensation led to a delay in signing, although agreement was eventually reached. Although he won ‘Player of the month’ in December 2006, he failed to settle into a regular place at Edgar Street, and was released from his Hereford contract at the end in May 2007, re-signing the Diamonds on 29 May 2007, initially on a one year contract. 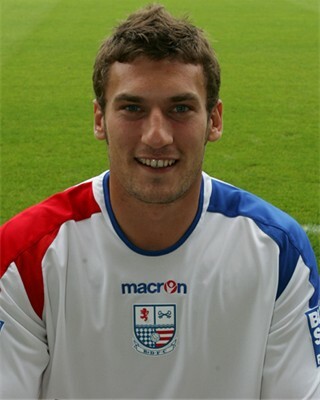 After impressing during that season he was offered a further contract which was to keep him at Nene Park until the end of the 2008/2009 season, but after a proposed move to Corby Town broke down midway through the season, and he left the club on 14 November 2008 to join Oxford City until January 2009. Corby Town renewed their interest in signing Phil, and he joined the Steelmen on 1 January 2009, taking over the captains armband and helping them to the Southern League Premier Division title. 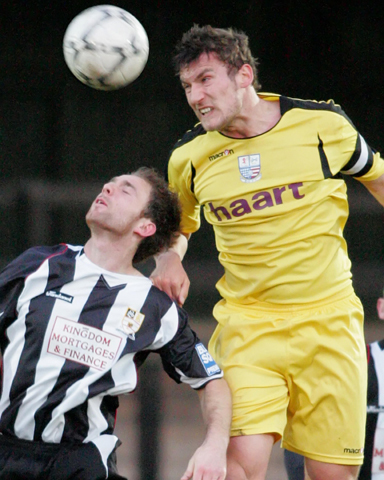 After 3½ years at Corby Town, he left in the summer of 2012, to join newly promoted Northern Premier League Division One South side King’s Lynn Town on 5 July 2012. After some 61 appearances for the Linnets, Phil was released on 30 September 2013. No record of his involvement with the game has been found between 2014 and 2018.